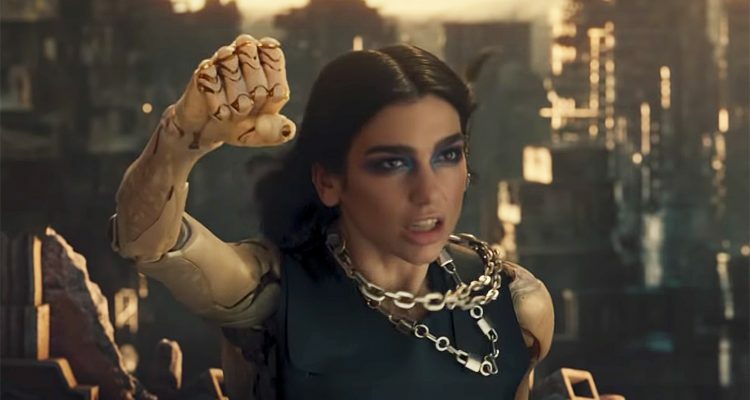 It’s finally here: Dua Lipa has released her highly-anticipated “Swan Song,” written for the Twentieth Century Fox-produced movie Alita: Battle Angel. Concurrently, the official visual mirrors the lyrics, with the “Electricity” songstress dancing in a post-apocalyptic scrapyard before coming face-to-face with a giant robot. Taking the reigns of her newfound powers, she sees the movie’s heroine, Alita, in a mirror and copies the reflection’s martial arts moves before posing over a dystopian landscape to close the video. Give the song a listen and watch the exciting clip for Dua Lipa’s “Swan Song,” courtesy of Warner Music below.